Today my Month of Writers victim is Rick Novy, editor of the infamous 20/20 VISIONS anthology (featuring my fun & vicious little short story “Pocket Full of Posey”). Rick is also a fellow member of the Codex Writers Group and a sci-fi geek. We girls like our sci-fi geeks, even if they do live on the sun (a.k.a. Arizona). RN: Coffee in the morning, iced tea later in the day. RN: Travel the world because I already travel outer space in my writing. RN: Usually silence because I tend to focus on how a piece of music is arranged when it’s playing, so I can’t focus on writing. RN: No. I’d rather watch paint dry. RN: Something like 40 short stories. Novel forthcoming (indie). RN: I’m very inconsistent. Some days 3000 words, other days nothing. RN: NaNoWriMo pace is very productive and not too terribly unrealistic, if one isn’t pulled in several other directions at the same time. RN: Final copy edits of my first novel, Neanderthal Swan Song. RN: Isaac Asimov is my literary mentor because his writing disappears behind the story and that’s what I strive to do. On the other hand, if I had Harlan Ellison’s mastery of the English language, I’d definitely use it. RN: Control over time would be nice. RN: A few days ago, I received some killifish eggs in the mail from a guy in Malta. Nothobranchius guentheri. This fish lives in water that dries up par tof the year, so they hatch and die of old age in the same year. Because the eggs can survive a dry season in a kind of suspended animation, you can ship the eggs around the world. These are scheduled to hatch in late June. It will be the first time I have tried to hatch killifish eggs and I will be blogging the experience with photos. RN: See penguins in the wild. Repopulate the native habitat of a species of fish extinct except in captivity, using specimens that I have kept and bred in refugium. Get all the novels out of my head so people can read them. 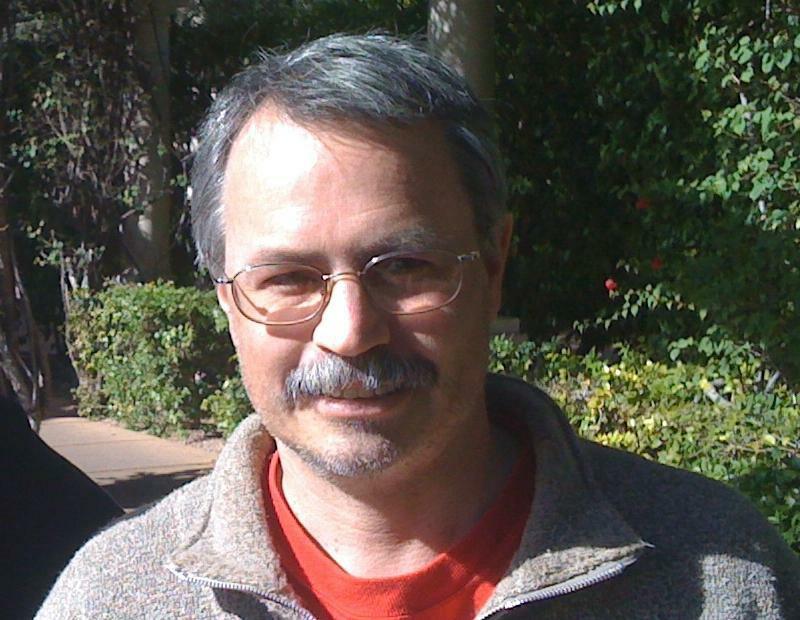 Rick Novy lives in the Sonoran Desert city of Scottsdale, Arizona. This entry was written by Princess Alethea and posted on May 15, 2011 at 7:59 am and filed under Interview. Bookmark the permalink. Follow any comments here with the RSS feed for this post.